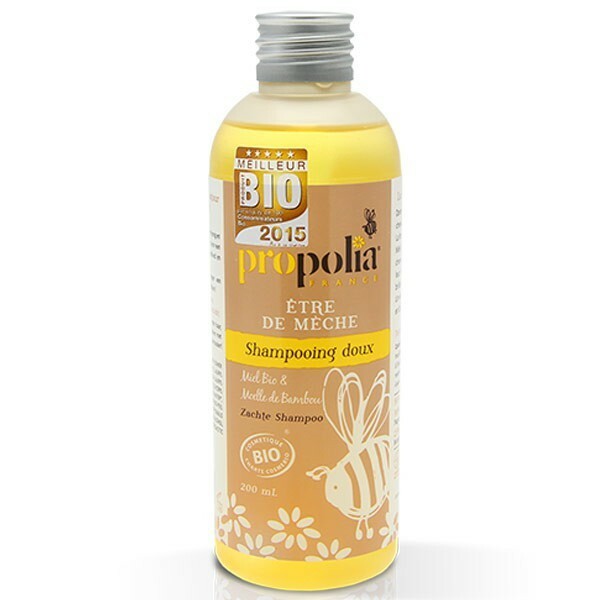 Propolia Organic Mild Shampoo is designed to make hair soft, shiny, and beautiful. This hero product was named the best organic product of 2015, and it's easy to see why. It contains a selection of powerful natural ingredients that use the power of nature. Delicious orange blossom and honey add moisture and reduce scalp irritation, while bamboo marrow helps to repair damaged hair and increase volume. Propolia Organic Mild Shampoo especially nourishes fine and fragile hair, adding soothing hydration without weighing hair down, or making it feel stiff or over-processed. The organic properties of this shampoo mean that the product is gentle and natural, and has great environmental credentials. Aqua (Water), Citrus Aurantium Amara Flower Water (Bitter orange floral water)*, Glycerin, Sodium Cocoamphacetate, , Lauryl Glucoside, Sodium Cocoyl Glutamate, Sodium Lauryl Glucose Carboxylate, Citric Acid, Coco Glucoside, Glyceryl Oleate, Mel (Honey)*, Lavandula Angustifolia Flower Water (Lavender flower water)*, Bambusa vulgaris stem extract (Bamboo marrow extract)*, Citrus Paradisi Peel Oil (Pomelo essential oil)*, Lavandula Hybrida Oil*, Saponaria Officinalis Root Extract, Cocamidopropyl Betaine, Parfum, Alcohol, Sodium Benzoate, Potassium Sorbate, Dehydroacetic Acid, Benzyl alcohol, Limonene, Linalool.